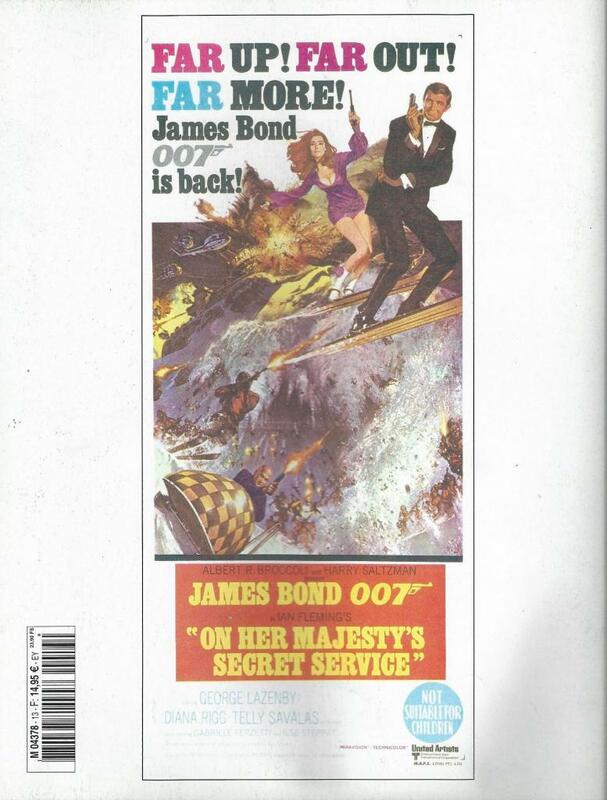 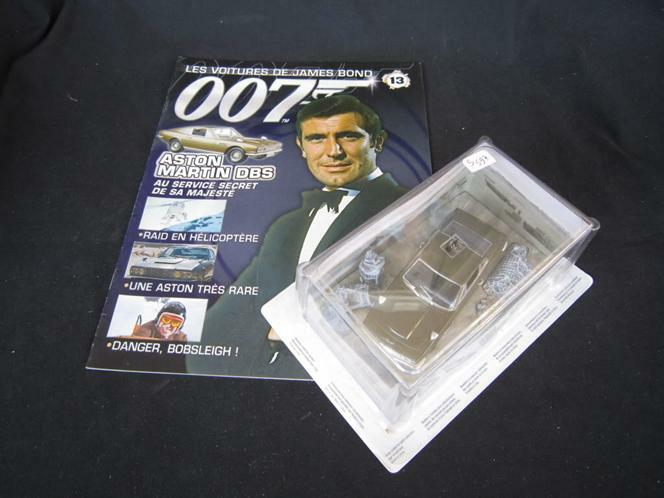 In the early 2000s the British company Eaglemoss Publications Limited released a collection of booklets and miniature cars which featured in the James Bond films. 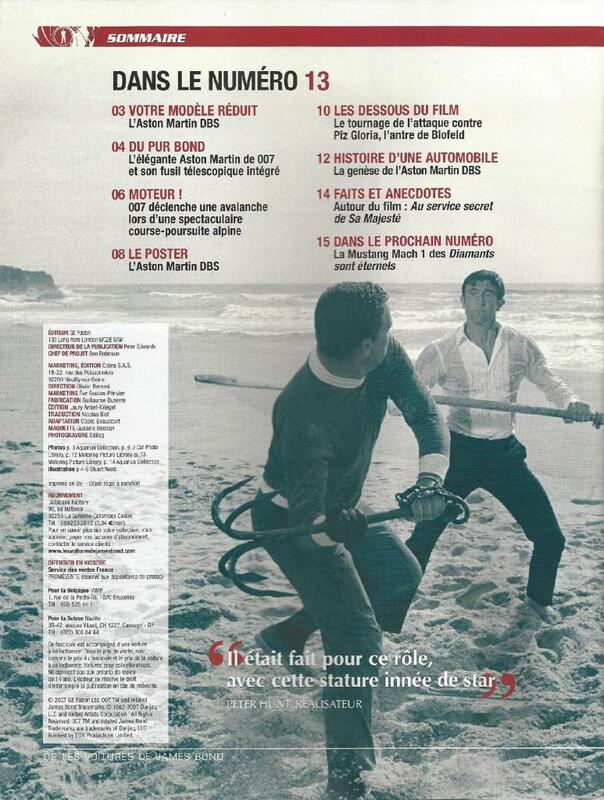 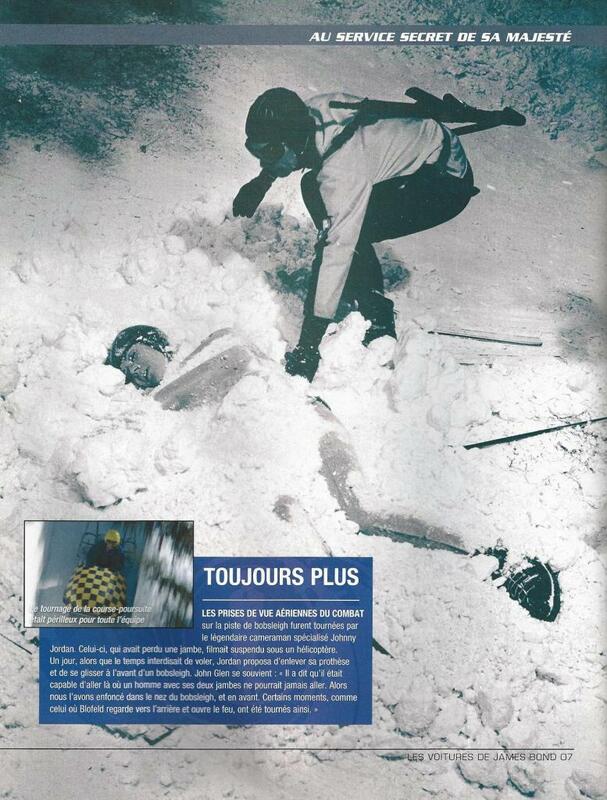 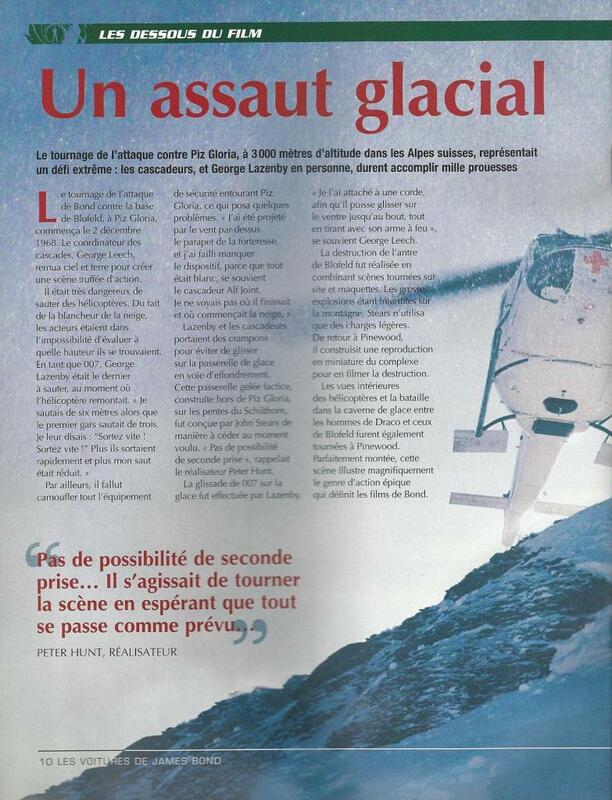 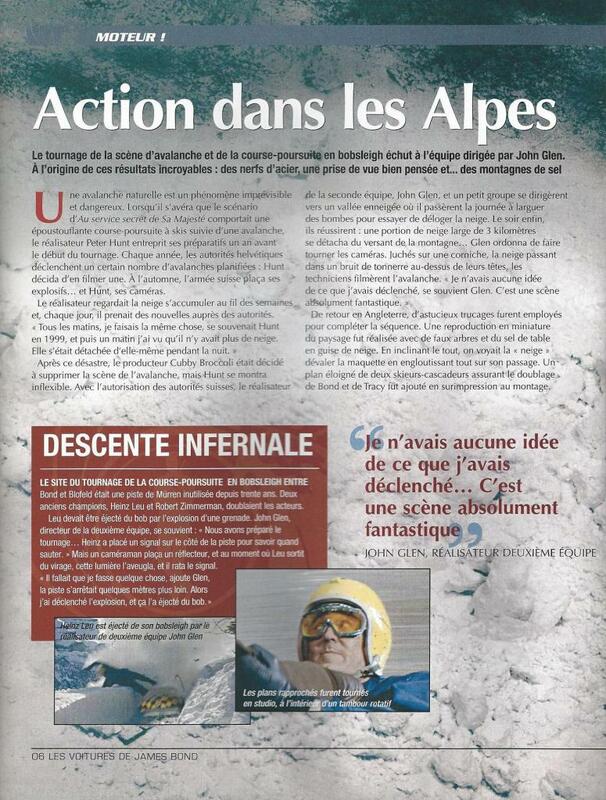 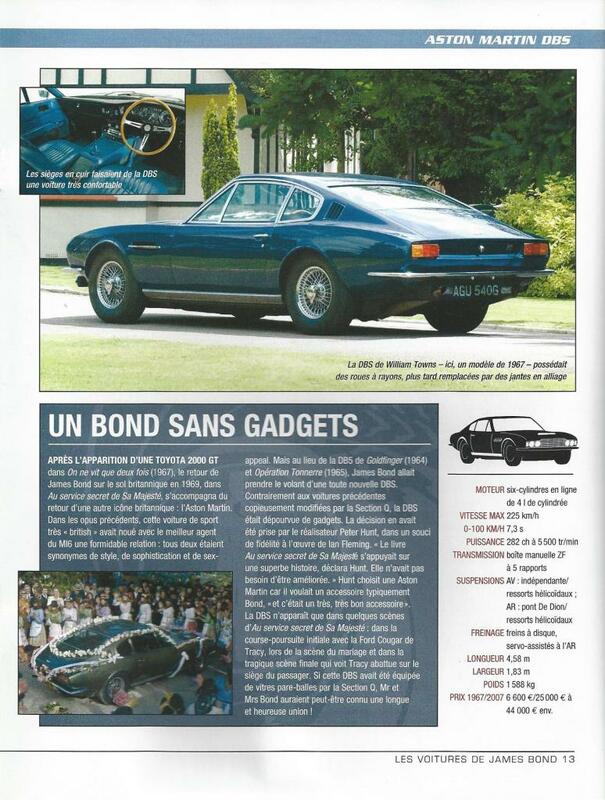 In France the collection was distributed by GE Fabbri Limited. 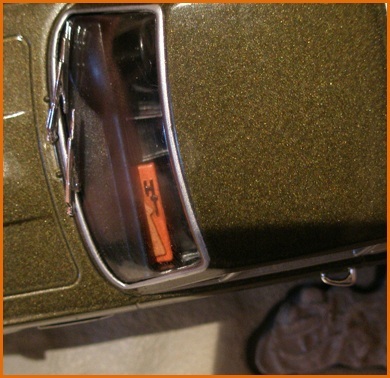 The miniature vehicles, which were accompanied by dioramas of certain scenes from the films, were made to a scale of 1 to 43. 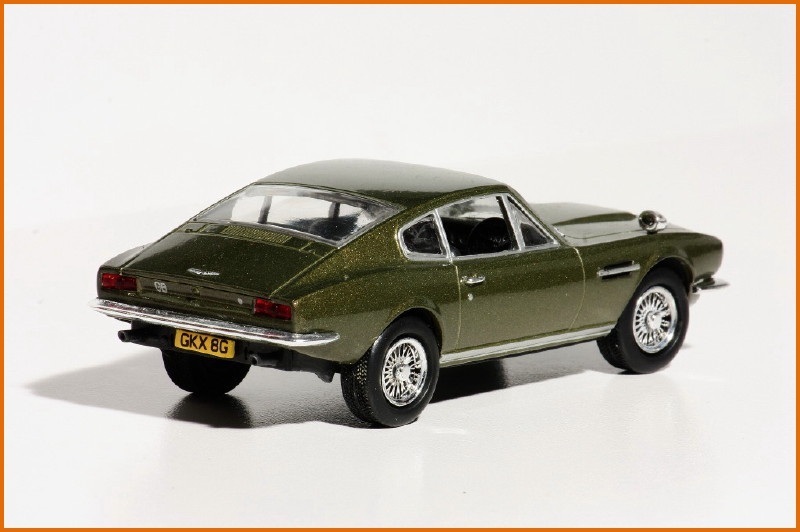 During the publication period, the collection was enlarged to include extra models, and a total of 134 were produced for the British collection. 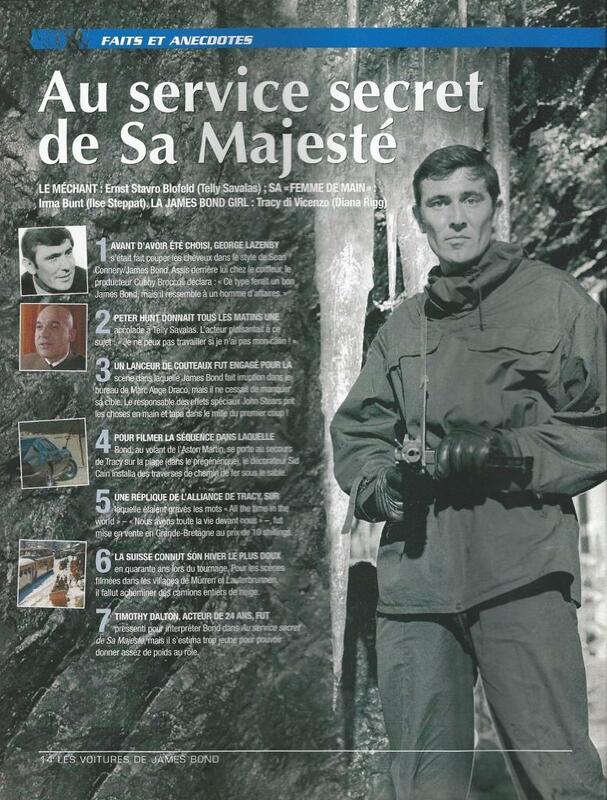 They were followed by an extra three which were sent to subscribers as a farewell thank you present. 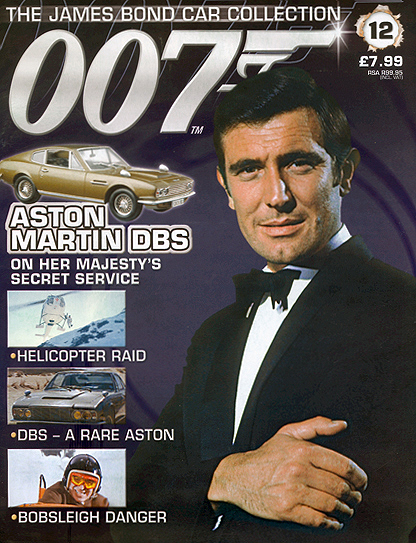 The early production rate was two per month, but this was later reduced to one a month. 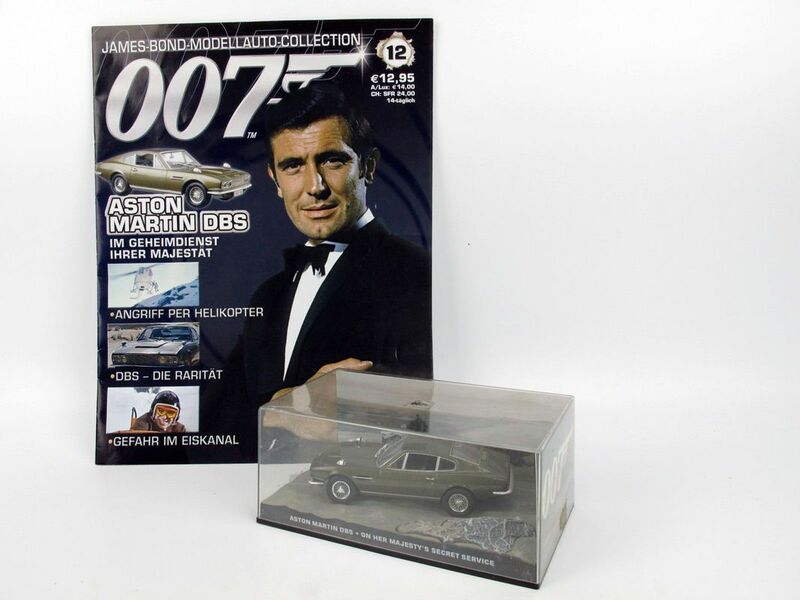 The first edition featured the Aston Martin DB5, star of the film "Goldfinger", and the final edition (N°134) the Rolls Royce Silver Shadow from "Moonraker". 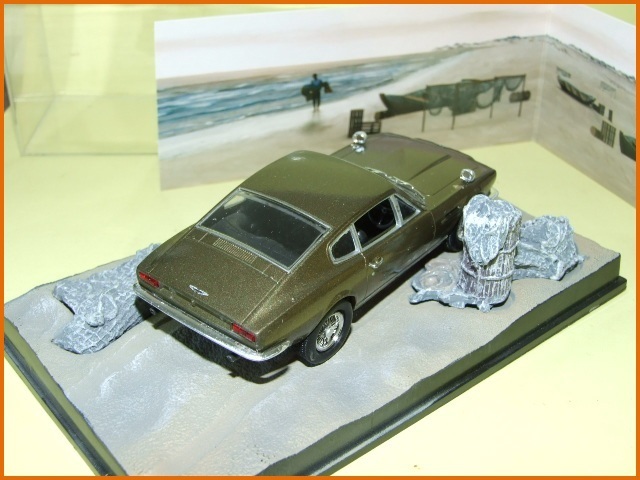 At the start of production the miniatures and their decors were made by the Universal Hobbies company. 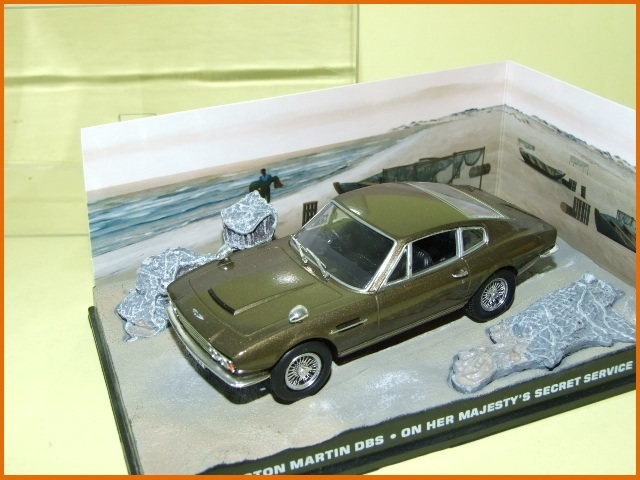 But this was later replace by Ixo Models which were built under licence in China by Sonic International (Toys) Limited. 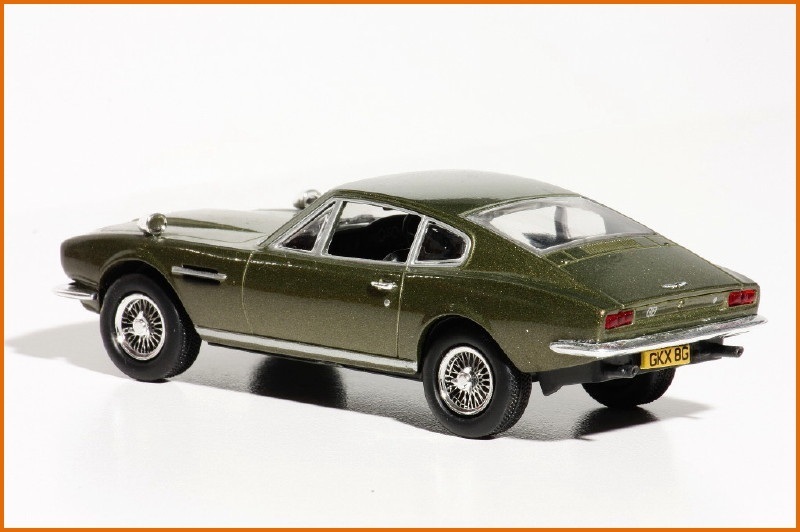 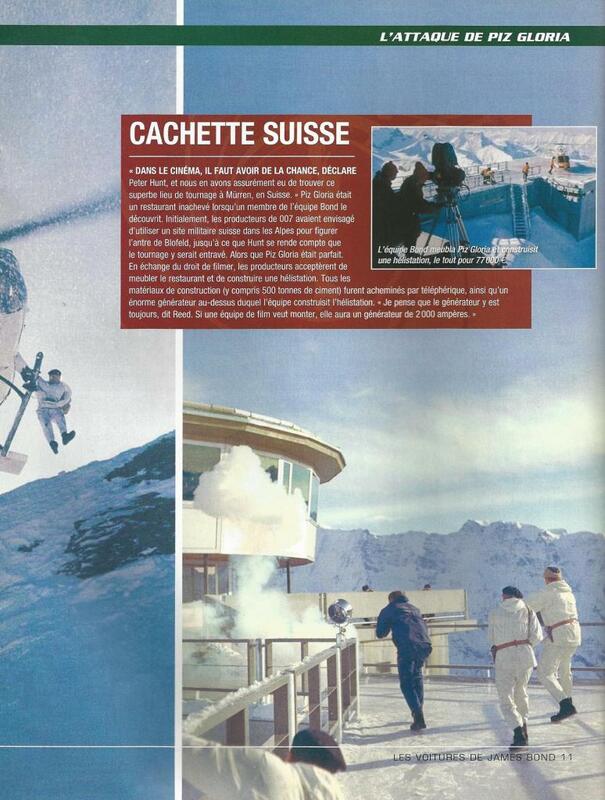 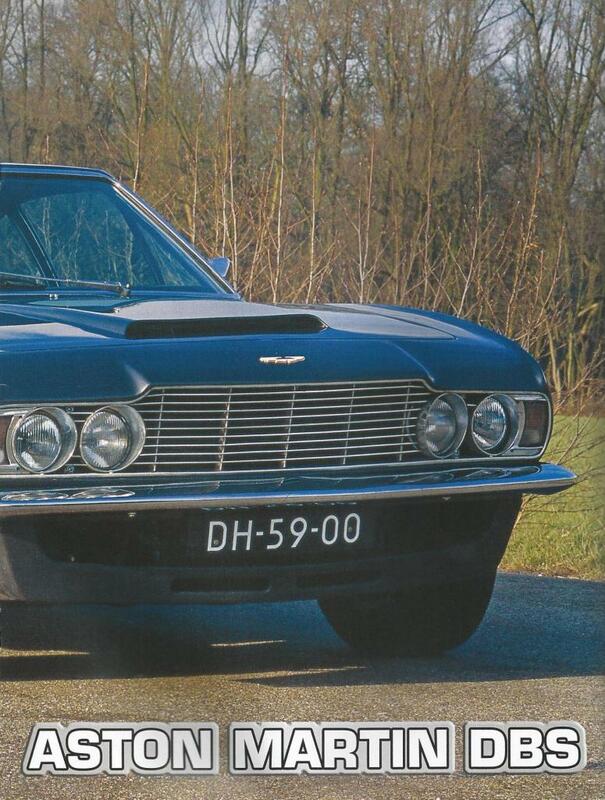 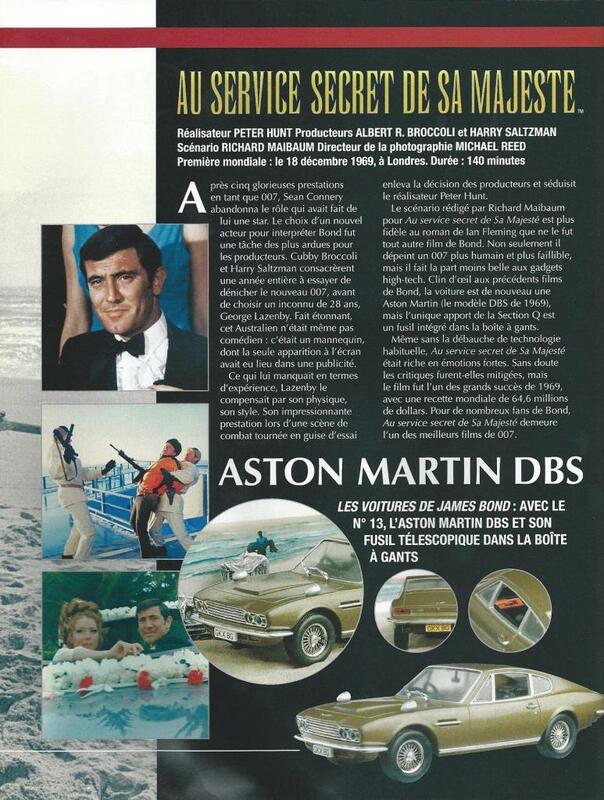 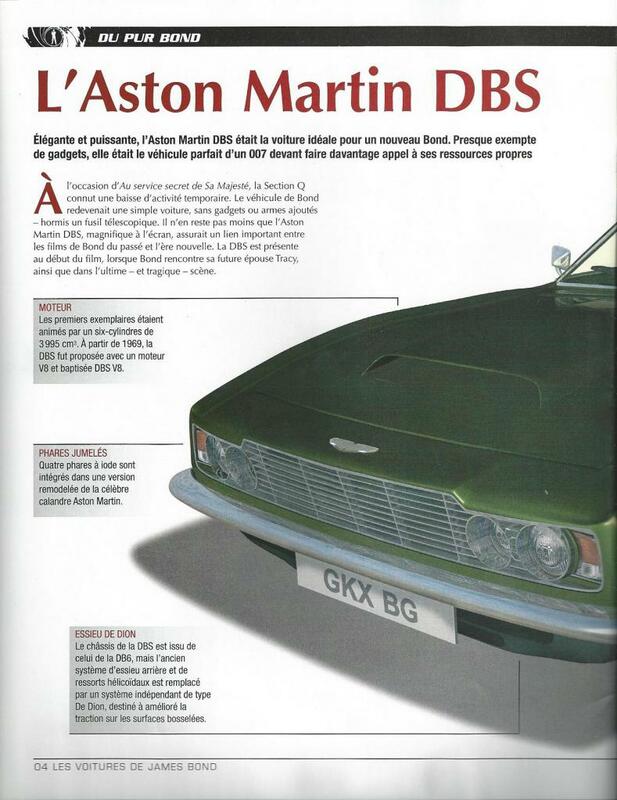 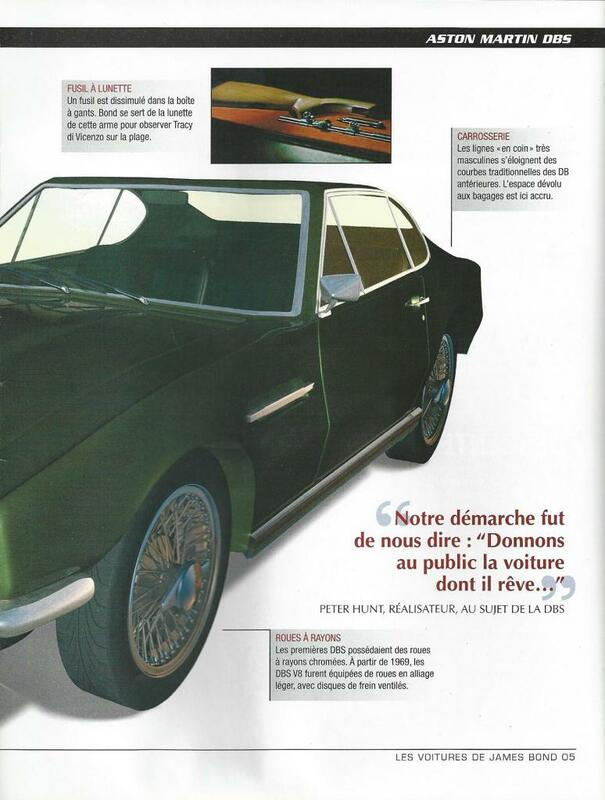 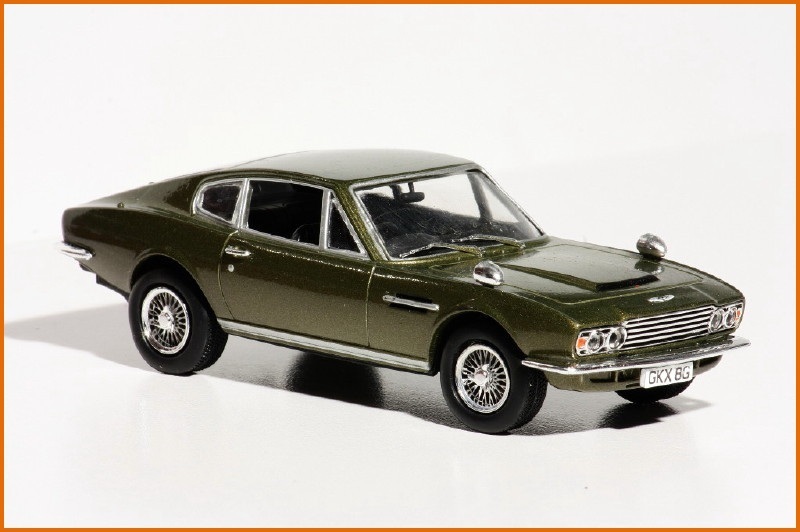 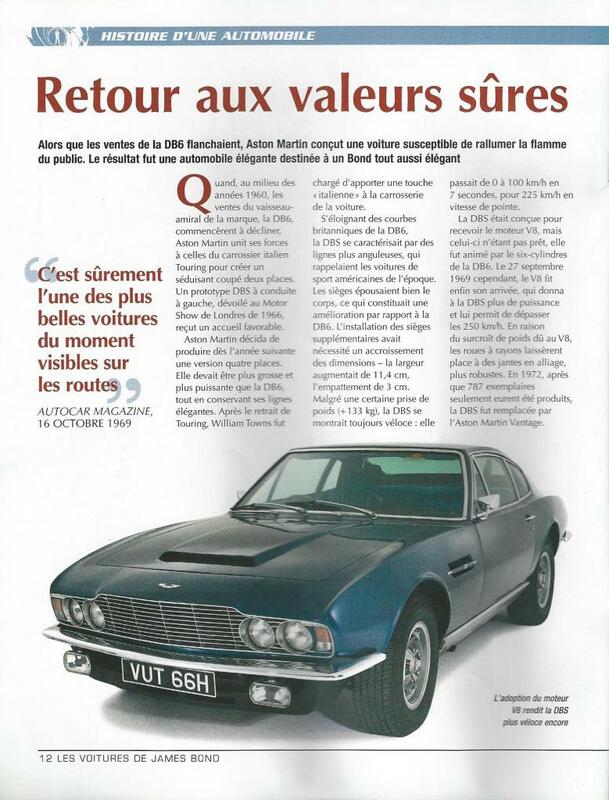 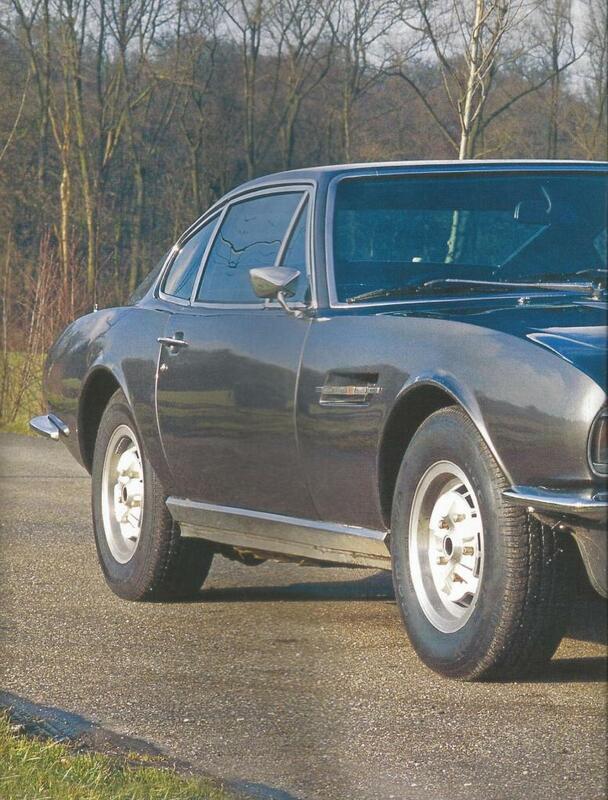 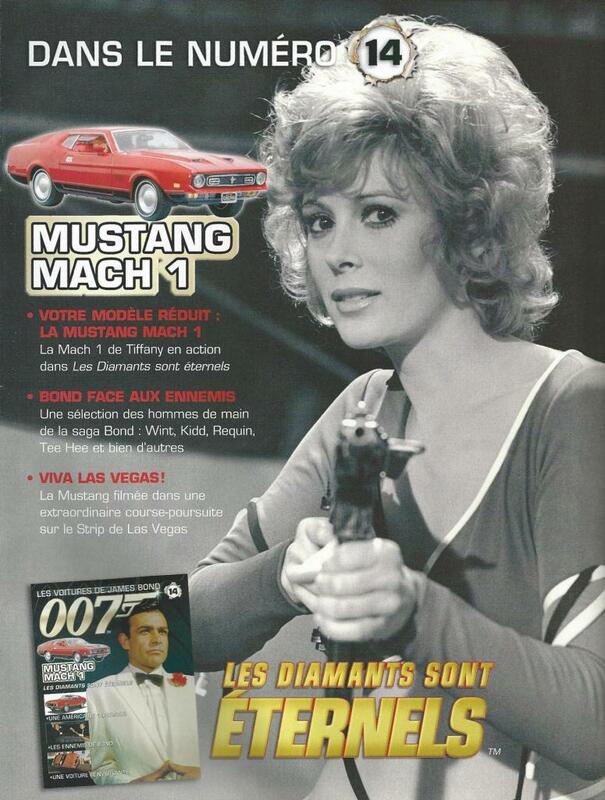 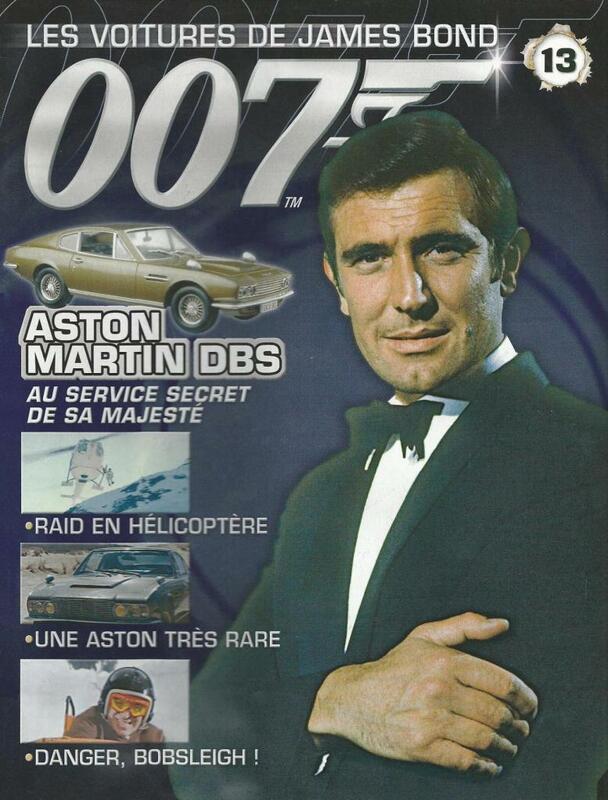 Model number 12 in the English edition as well as in the German edition (number 13 in the French edition) is the Aston Martin DBS from "On her Majesty's Secret Service". 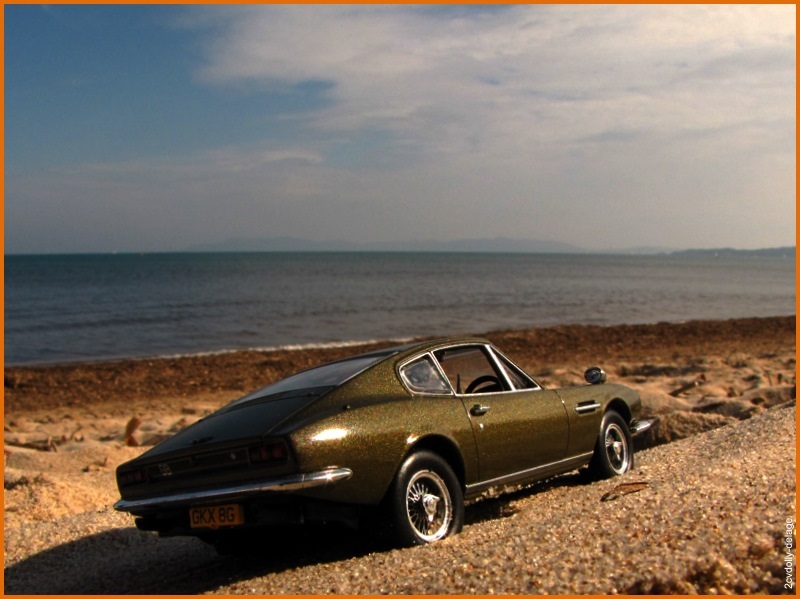 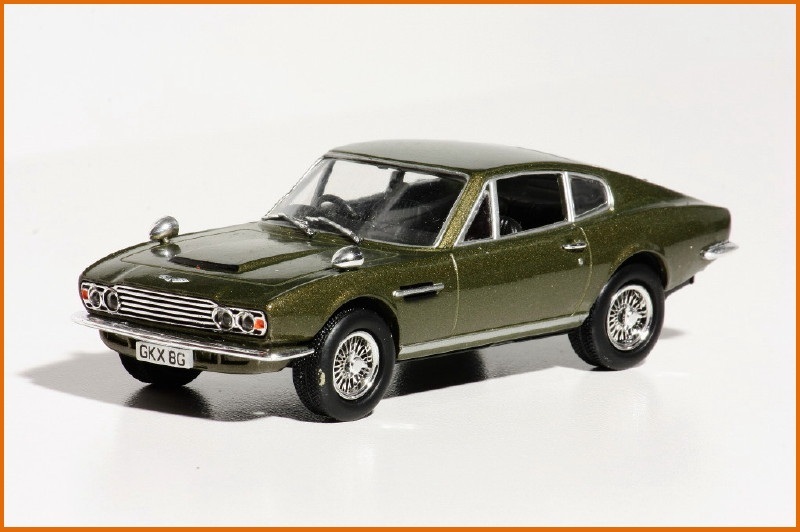 Presented in the famous "Olive" color, the miniature DBS is accompanied by a decor of a beach supposed to represent the film's opening scene where James Bond (played by George Lazenby) comes to the rescue of Tracy Di Vincenzo (played by Diana Rigg) on a beach in Portugal. 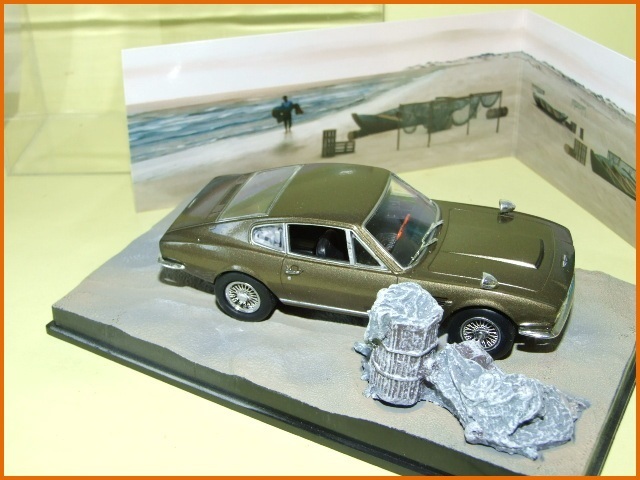 Production of the dioramas but without the booklet was continued by Ediciones Altaya S.A using miniatures produced by Ixo Models.